The Office of Nuclear Regulation is to begin the technical phase of the generic design assessment of the HPR1000 nuclear reactor, which could be built in Essex. 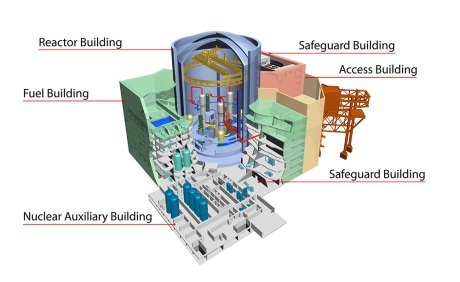 All reactor designs in the UK are subject to a generic design assessment (GDA) by the ONR and the Environment Agency, by which regulators assess the safety, security and environmental aspects of the reactor design before the aspects of the design specific to the site are put in place. Phase one of this process, which began in January and is now complete, looks at the project management and technical provisions of the design. Phase 2, which will take a year, is a fuller technical assessment. The full GDA process takes five years, and is expected to be completed in 2021. Regarding the environmental aspects, a new nuclear power station at Bradwell would need to address the impact of the cooling water that would be pumped in and out of the Blackwater Estuary. The local oyster industry (dating back to Roman times) was decimated by the old Magnox reactor. Since 2002 the oyster industry has been re-established and is now one of the largest producers of Pacific Oysters in the UK. We need to protect our seas and oceans. From effluent and micro-plastic pollution to acidification as a result of increased CO2 levels, dumping of low grade heat from any new nuclear power station should also be prevented. True, but not relevant to the GDA because that doesn’t take into account site-specific details. The GDA is undertaken by the Office for Nuclear Regulation (ONR) and the Environment Agency (EA) – not by HSE. You are quite correct. Thanks for the correction. Given the massive investments needed in nuclear electricity in the next few years, it is important that we find the best / most economic technology. My personal preference is to accelerate the SMR concept, but the others should be used if better suited. It is a sad reflection on the US / UK alliances that Russian nuclear reactors are not being considered purely on the “reds under the bed” attitude of the USA. The Russian reactors are being used in a number of countries and are probably of a longer proven design than the Chinese units. However, the last 25 years of UK “Energy policy” have been “green irrespective of economics” and also to totally ignore the long term effects of importing expensive, second rate white-elephants.